With the announcement at Apple's Q3 financial report that OS X 10.8, Mountain Lion was about to be released, I started to prepare my computer for the installation early Wednesday evening here. I began by shutting down all running applications and restarting the computer. In the Admin account, I checked for any updates in the Mac App Store and then ran Software Update. I restarted the computer again this time using the Rescue Partition by pressing the Command + R keys and used Disk Utility to Repair the disk. No problems were reported. I restarted the computer again and with a touch of deftness, put the rescue flash drive into a USB port as I pressed the Option key. I selected the partition I use for repairs and when the system was running, started Disk Warrior. I was not expecting any problems as I ran this recently. The report showed that all was in order but I took the offer to rebuild the desktop. When complete, I shut down the computer, removed the flash drive and restarted, going back to the user account intending to do some work. With the update to Lion last year the download became available around 9pm here, so while working I planned to check the Mac App Store and news sources regularly. However, the first check showed me that Mountain Lion was already online, so I restarted once more to install this from the Admin account. In the Mac App Store panel for Mountain Lion, I pressed the blue button marked $19.99 which changed to a green "Buy" button. Once I had entered my password (20:13) the download began. It was painfully slow, I thought, but then it was probable that a lot of others were also trying the download at the same time. There is precious little information for the ordinary user while the installation is taking place. 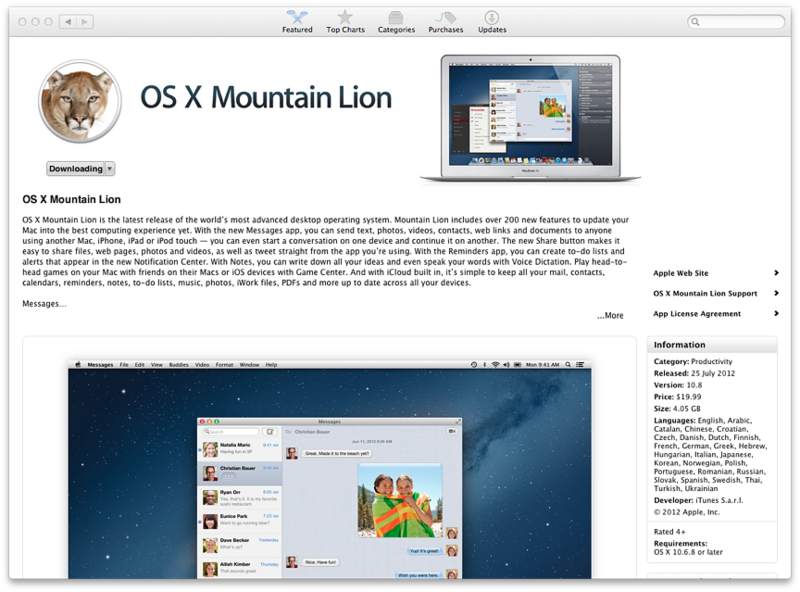 The Mountain Lion panel in the Mac App Store shows "Downloading". In the Dock, the Launchpad icon indicates (in blue) the amount downloaded, while pressing that icon shows a greyed out Mountain Lion icon with a similar (white) progress bar. Despite the rain and the failed True TV satellite feed (again), the download continued. Gently. After one hour the progress bar had just passed the mountain lion's nose (I have a 7 MB link). At 21:36 a panel appeared for setting up the installation of the OS followed by a licence agreement. The correct disk was selected (in this case there was only one), I entered the password and the installation setup began with about 3 minutes indicated. When complete the computer restarted and another panel -- Install OS X -- appeared with an indicated time (initially) of 34 minutes. The process was complete at 22:27. A restart took a couple of minutes before I could enter the Admin account for a quick look round. One immediate difference I saw was a new icon to the top right on the menubar. When I pressed this, a panel opened that showed "No new notifications". This was different in the user account where I work and two are listed in a similar way to how notifications appear on an iPhone screen. 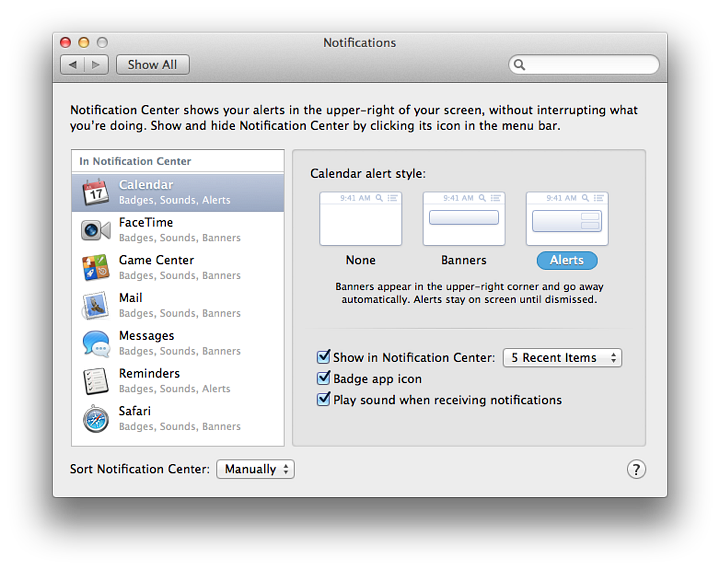 In the user account, a cursory look at System Preferences showed a new design for the Displays preferences (the panel itself is changed too) and two new icons: Notifications, for selecting which alerts will appear onscreen; and a Dictation & Speech preference. This has the earlier features of the preference that allows selection of the system voice and related controls; while also adding a Dictation feature, activated by default on my Mac by pressing the Fn key twice. 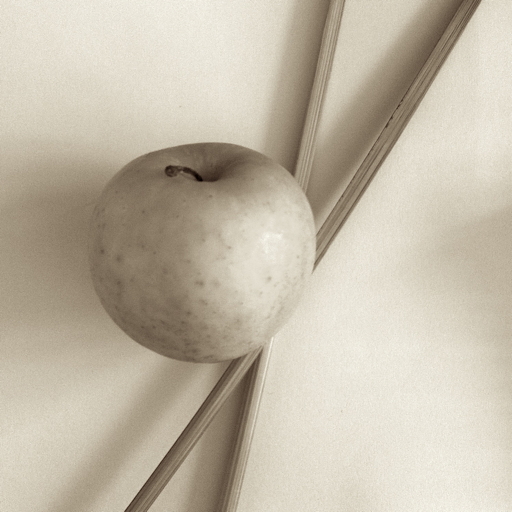 The dictation is sent to Apple for conversion to text. I tried it briefly but we (the system and I) need more practice. When entering the user account for the first time I was asked to enter the Admin password to allow a "Transition" process to take place. As part of this I was notified that iDisk was no longer available. I had already moved all data. Over the next day or so, I will be checking this out, but a brief look shows me that as well as the new Notifications icon, there is a new menubar icon for Displays. Taking a screenshot displays a new camera icon. I am disturbed to find that with a new version of Safari (6.0) all the RSS feeds that I have bookmarked are useless as there is no RSS feed reader included. I am directed to the Mac App Store to download a suitable app. I grabbed something that looked suitable with the name Monotony but cannot say I am particularly impressed by this change. I now have to go through the scores of feeds and re-enter them in a new app. A backward step here and a big waste of my time. Down in the Dock I now see Reminders and Notes: showing the closer relationship between OS X and iOS that seems almost inevitable. AddressBook has been changed to Contacts, again the same as the iOS app and has been slightly reorganised (at first glance). iTunes seems unchanged, and the iLife apps of iDVD and iWeb are still installed. Mail has been updated to Version 6.0 and needed upgrading the first time I opened it. This took several minutes but when finished it appears basically unchanged. Disk Utility is shown as Version but on first acquaintance appears unchanged. Ah, but Safari. A real negative here. Who on earth thought that one up?